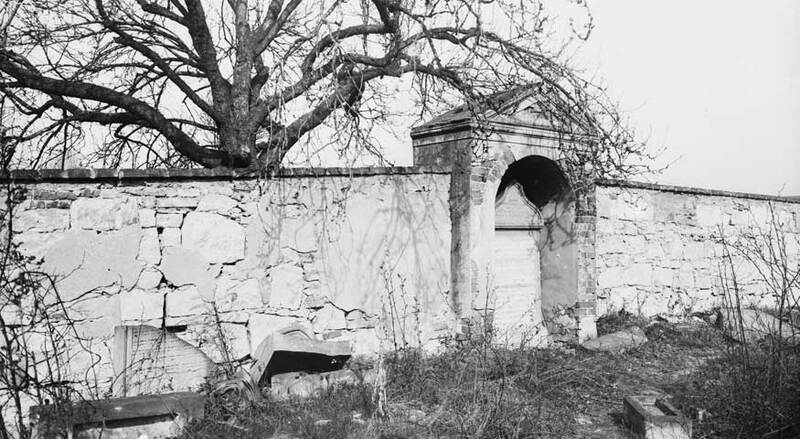 Jews here were probably called a manor in Široké Třebčice and also the assets of the estate in Ceradice established. Under manor they built the quarter, equal to the streets with low ground-floor houses. For a long time it was called “Judenkiller” – derived from the German word “Keller”: Cellar of Jews. I found out for sure that Jews lived in houses No. 27, 41, 42, 43, 44, 45, 46, 47, 48, 52, 54, 55 and 56. That is 13 houses. They probably lived in the houses No. 49, 50, 51, 53. At the end of the street stood a synagogue without any pomp. It shows their more indigent ratios. In the synagogue, which had no house number, were flat for the cantor. Kantor Joachim Popper was also the Jewish butcher meat conducting by Kosher way. Of these were following family names: Markus Stein (manor Jew) 46, Jacob Stein (manor Jew), Josef Singer No. 52, Jacob Keil (manor Jew), Seligman Glaser, Samson Abeles 47, Lazar Glaser No. 48, Samson Kohn, Jacob Glaser No. 48, David Glaser sen. No 43, Seligman Glaser, Moritz Singer (rabbi and cantor) No. 54. Since 1844 Moritz Abeles No. 47. The number after the name indicates the number of the house to which was given the permission to marry. As rabbi there served Moritz Singer (in No. 54) from the year 1839 until the 1859. 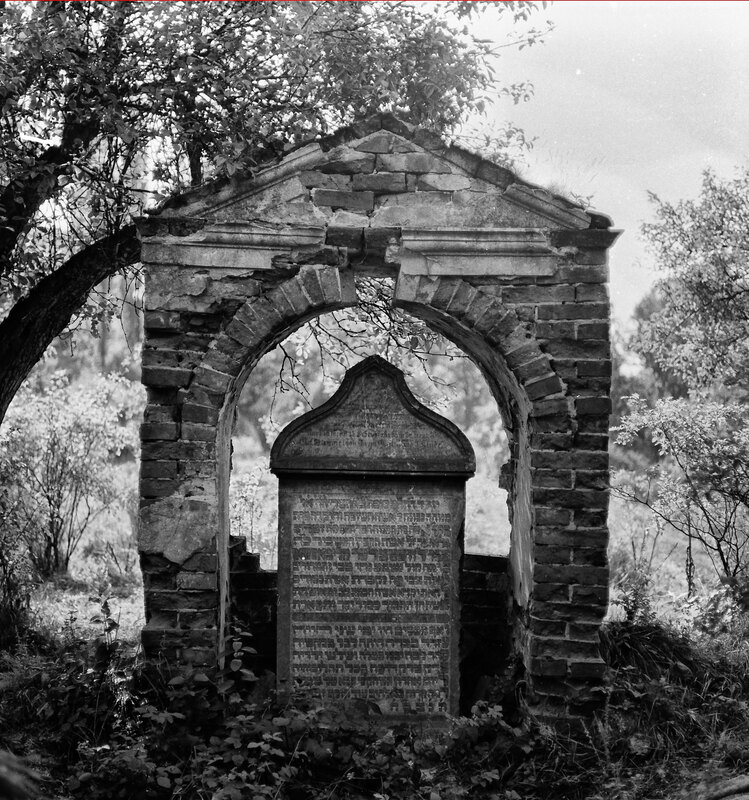 Cemetery, canceled in 1875, is from the village, 1 km. It is located in beautiful valley stream Liboc, surrounded by fruit trees and huge poplars. The journey is only dirt. There is not more beautiful place in Ceradice region. 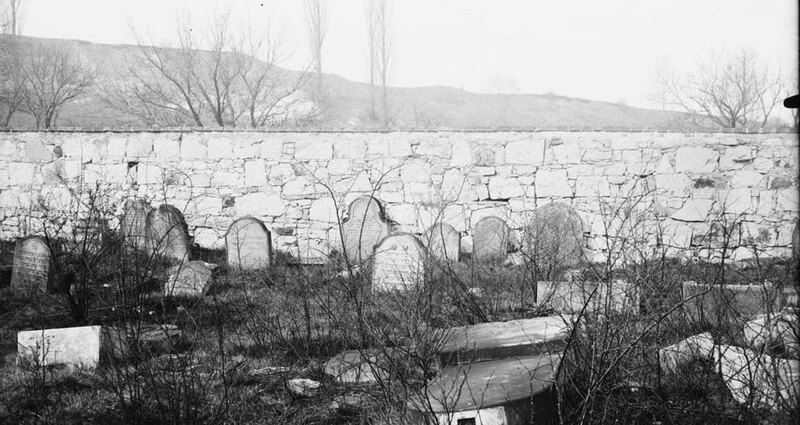 The cemetery is square and is surrounded by a low wall, which attracts by far by its whiteness. I think the cemetery is not even 200 years old. It was abolished in 1875 from which year broke the local religious community for a small number of members and associate themselves with Saaz, as well as Libočany. At the cemetery were buried Jews also from elsewhere: of Libočany, Nové Sedlo, Železná (near Mecholupy where is also a cemetery), Hořetice, even from Saaz until they had his own. It was therefore circumferential cemetery. When, after 1848, begun the absolute equality of Jews, it also increased their level. They began to mnigrate into 4 km distanced Saaz. Their children begun to study, the German two classrooms were not sufficient. They began to trade with hops, Saaz ensure a superior position. Many Saaz lawyers and doctors have ancestors there, although I am not saying that all Jews of Saaz are coming from Čeradice.